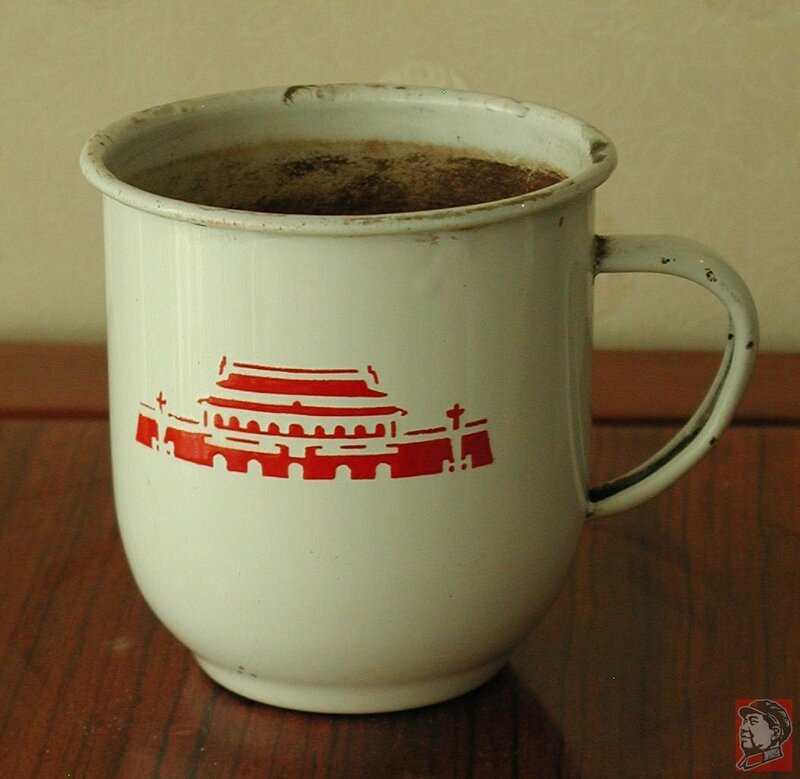 This is an unusual shape enamel cup with great graphics of the gate at Tiananmen Square, issued as a commemorative item in 1979. 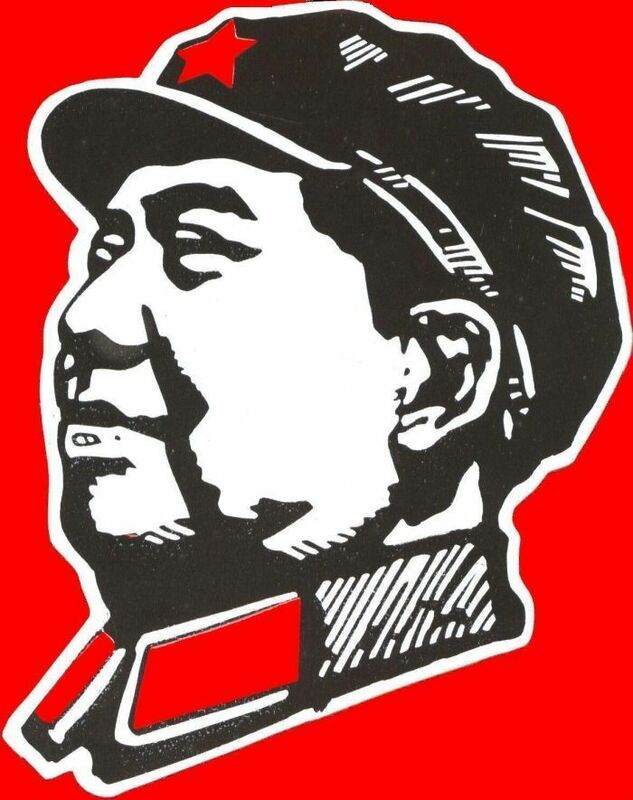 The inscription is, "Protect the Borders for Self Defense, Memorial Cup for the Success of the War" and dated May 1979. 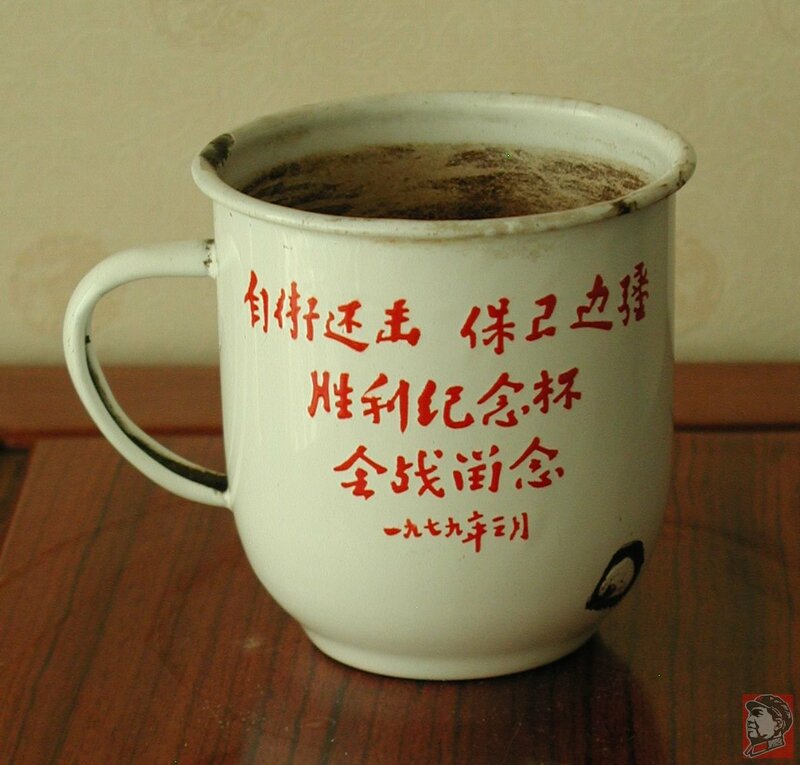 The mug is 9cm (3.5 inches) high and 9cm (3.5 inches) in diameter. The undersides are marked as being made in Tianjin. 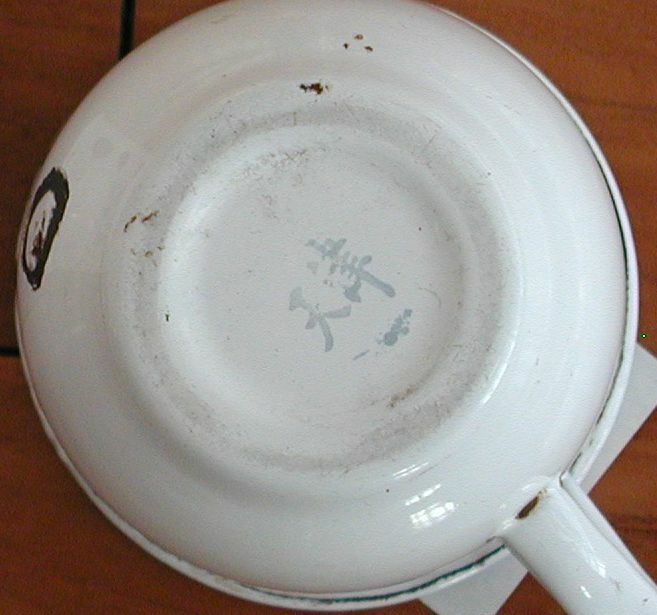 As the photos show, there are a few chips in the enamel as is common with vintage items.